To require that reproductions and imitations of coins and political items be marked as copies or with the date of manufacture. Be it enacted hy the Senate and House of Representatives of the United States of America in Congress assembled; That this Act may be cited as the “Hobby Protection Act”. SEC. 2. (a) POLITICAL ITEMS. — The manufacture in the United States, or the importation into the United States, for introduction into or distribution in commerce of any imitation political item which is not plainly and permanently marked with the calendar year in which such item was manufactured, is unlawful and is an unfair or deceptive act or practice in commerce under the Federal Trade Commission Act. (c) REGULATIONS.—The Federal Trade Commission shall prescribe rules for determining the manner and form in which items described in subsection (a) or (b) shall be permanently marked. (d) PROVISION OF ASSISTANCE OR SUPPORT.—It shall be a violation of subsection (a) or (b) for a person to provide substantial assistance or support to any manufacturer, importer, or seller if that person knows or should have known that the manufacturer, importer, or seller is engaged in any act or practice that violates subsection (a) or (b). (e) EXEMPTION.—Subsections (a) (b), and (d), and regulations under subsection (c), shall not apply to any common carrier or contract carrier or freight forwarder with respect to an imitation political item or imitation numismatic item received, shipped, delivered, or handled by it for shipment in the ordinary course of its business. SEC. 3. (a) In General.–If any person violates section 2 (a) or (b) or a rule under section 2 (c), any interested person may commence a civil action for injunctive relief restraining such violation, and for damages, in any United States District Court for a district in which the defendant resides, has an agent, transacts business, or wherever venue is proper under section 1391 of title 28, United States Code. In any such action, the court may award the costs of the suit, including reasonable attorneys” fees. (b) Trademark Violations.–If the violation of section 2 (a) or (b) or a rule under section 2(c) also involves unauthorized use of registered trademarks belonging to a collectibles certification service, the owner of such trademarks shall have, in addition to the remedies provided in subsection (a), all rights provided under sections 34, 35, and 36 of the Trademark Act of 1946 (15 U.S.C. 1116, 1117, and 1118) for violations of such Act. SEC. 4. (a) Except as provided in section 3, this Act shall be enforced by the Federal Trade Commission under the Federal Trade Commission Act. (b) The Commission shall prevent any person from violating the provisions of this Act in the same manner, by the same means, and with the same jurisdiction, powers, and duties as though all applicable terms and provisions of the Federal Trade Commission Act were incorporated into and made a part of this Act; and any such person violating the provisions of this Act shall be subject to the penalties and entitled to the privileges and immunities provided in said Federal Trade Commission Act, in the same manner, by the same means, and with the same jurisdiction, powers, and duties as though the applicable terms and provisions of the said Federal Trade Commission Act were incorporated into and made a part of this Act. SEC. 5. Any item imported into the United States in violation of section 2 (a) or (b) or regulations under section 2(c) shall be subject to seizure and forfeiture under the customs laws. SEC. 6. The provisions of this Act are in addition to, and not in substitution for or limitation of, the provisions of any other law of the United States or of the law of any State. (1) The term “original political item” means any political button, poster, literature, sticker, or any advertisement produced for use in any political cause. (2) The term “imitation political item” means an item which purports to be, but in fact is not, an original political item, or which is a reproduction, copy, or counterfeit of an original political item. (4) The term “imitation numismatic item” means an item which purports to be, but in fact is not, an original numismatic item or which IS a reproduction, copy, or counterfeit of an original numismatic item. (5) The term “commerce” has the same meaning as such term has under the Federal Trade Commission Act. (7) The term “United States” means the States, the District of Columbia, and the Commonwealth of Puerto Rico. 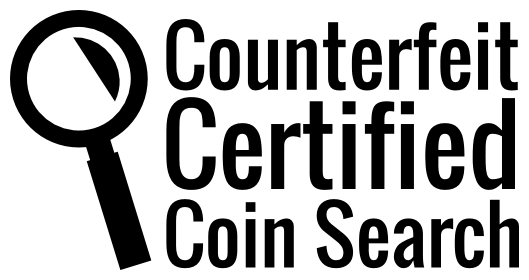 (8) The term “collectibles certification service” means a person recognized by collectors for providing independent certification that collectible items are genuine. (9) The term “Trademark Act of 1946” means the Act entitled “An Act to provide for the registration and protection of trademarks used in commerce, to carry out the provisions of certain international conventions, and for other purposes”, approved July 5, 1946 (15 U.S.C. 1051 et seq.). §304.4 Application of other law or regulation. §304.5 Marking requirements for imitation political items. §304.6 Marking requirements for imitation numismatic items. Authority: 15 U.S.C. 2101 et seq. Source: 40 FR 5496, Feb. 6, 1975, unless otherwise noted. (k) Diameter of a reproduction means the length of the longest possible straight line connecting two points on the perimeter of the reproduction. (a) An imitation political item which is manufactured in the United States, or imported into the United States for introduction into or distribution in commerce, shall be plainly and permanently marked with the calendar year in which such item was manufactured. (b) The calendar year shall be marked upon the item legibly, conspicuously and nondeceptively, and in accordance with the further requirements of these regulations. (3) An imitation political item of incusable material shall be incused with the calendar year in sans-serif numerals. Each numeral shall have a vertical dimension of not less than two millimeters (2.0 mm) and a minimum depth of three-tenths of one millimeter (0.3 mm) or one-half ( 1⁄2 ) the thickness of the reproduction, whichever is the lesser. The minimum total horizontal dimension for the four numerals composing the calendar year shall be six millimeters (6.0 mm). (b) The word “COPY” shall be marked upon the item legibly, conspicuously, and nondeceptively, and in accordance with the further requirements of these regulations. (1) The word “COPY” shall appear in capital letters, in the English language. (2) The word “COPY” shall be marked on either the obverse or the reverse surface of the item. It shall not be marked on the edge of the item. (3) An imitation numismatic item of incusable material shall be incused with the word “COPY” in sans-serif letters having a vertical dimension of not less than two millimeters (2.0 mm) or not less than one-sixth of the diameter of the reproduction, and a minimum depth of three-tenths of one millimeter (0.3 mm) or to one-half ( 1⁄2 ) the thickness of the reproduction, whichever is the lesser. The minimum total horizontal dimension of the word “COPY” shall be six millimeters (6.0 mm) or not less than one-half of the diameter of the reproduction. (4) An imitation numismatic item composed of nonincusable material shall be imprinted with the word “COPY” in sans-serif letters having a vertical dimension of not less than two millimeters (2.0 mm) or not less than one-sixth of the diameter of the reproduction. The minimum total horizontal dimension of the word “COPY” shall be six millimeters (6.0 mm) or not less than one-half of the diameter of the reproduction. Be it enacted hy the Senate and House of Representatives of the United States of America in Congress assemhled^ That this Act may be cited as the “Hobby Protection Act”. (b) COINS AND OTHER NUMISMATIC ITEMS.—The manufacture in the United States, or the importation into the United States, for introduction into or distribution in commerce of any imitation numismatic item which is not plainly and permanently marked “copy”, is unlawful and is an unfair or deceptive act or practice in commerce under the Federal Trade Commission Act. (d) EXEMPTION.—Subsections (a) and (b) , and regulations under subsection (c), shall not apply to any common carrier or contract carrier or freight forwarder with respect to an imitation political item or imitation numismatic item received, shipped, delivered, or handled by it for shipment in the ordinary course of its business. SEC. 3. If any person violates section 2 (a) or (b) or a rule under section 2 (c), any interested person may commence a civil action for injunctive relief restraining such violation, and for damages, in any United States District Court for a district in which the defendant resides or has an agent. In any such action, the court may award the costs of the suit, including reasonable attorneys” fees. (b) .The Commission shall prevent any person from violating the provisions of this Act in the same manner, by the same means, and with the same jurisdiction, powers, and duties as though all applicable terms and provisions of the Federal Trade Commission Act were incorporated into and made a part of this Act; and any such person violating the provisions of this Act shall be subject to the penalties and entitled to the privileges and immunities provided in said Federal Trade Commission Act, in the same manner, by the same means, and with the same jurisdiction, powers, and duties as though the applicable terms and provisions of the said Federal Trade Commission Act were incorporated into and made a part of this Act. SEC. 8. This Act shall apply only to imitation political items and imitation numismatic items inanufactured after the date of enactment of this Act. assistance or support in violation of that Act, and for other purposes. This Act may be cited as the “Collectible Coin Protection Act”. SEC. 2. PROVISION OF ASSISTANCE OR SUPPORT. certification that collectible items are genuine. 5, 1946 (15 U.S.C. 1051 et seq. ).”.